Fortunately, AppDynamics includes two features that can easily allow us to automatically record a deployment event within AppDynamics and use that as a reference for comparing releases. AppDynamics events can be triggered for a variety of reasons including health rule violations, application state changes (like a restart) and others; however, the API also allows us to create custom events. By taking advantage of this feature, we can modify our deployment process to include a REST API call to trigger a custom event and programmatically record deployments within AppDynamics itself. 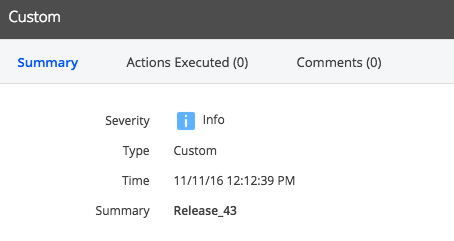 Now that we have our deployments automatically being recorded within AppDynamics as an event, we can use these timestamps as a starting point for later analysis. 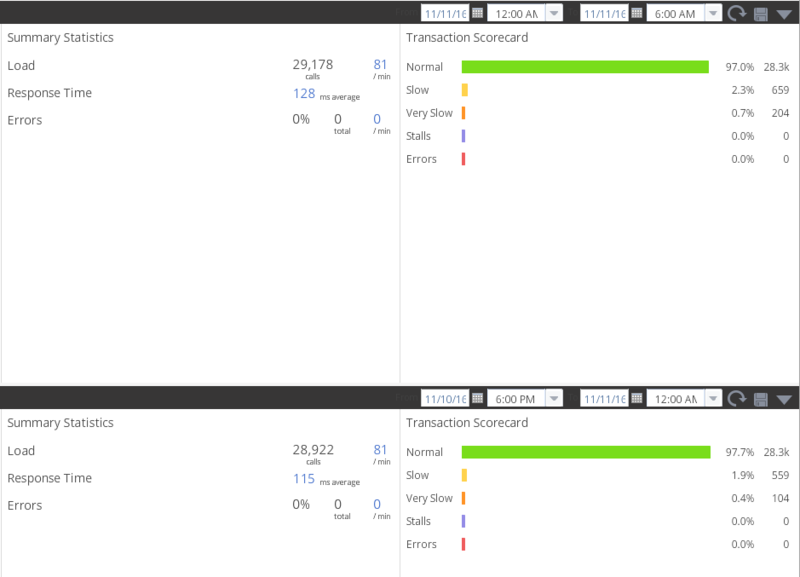 This is where the Compare Releases function of AppDynamics comes in handy. The Compare Releases functionality is straight forward. All we have to do is pick a time frame before the recorded release time and pick one after the recorded release time to compare. AppDynamics will allow us to compare performance in broad and granular capacities.